Key West Orthopedics | Lilla Butler Whiteside, M.P.T. Lilla was born in Jackson, Miss., but her childhood was spent mostly in Northern Virginia. Her father was a U.S. Marine Corps colonel, and they lived in various locations, including three years in Colombia, South America, where she became fluent in Spanish. Lilla graduated from Tulane University with a B.A. in international relations and Spanish. The same weekend of graduation, she was commissioned as a second lieutenant in the U. S. Marine Corps. She served in the USMC for five years, followed by two years in the reserves, and was honorably discharged with the rank of captain. She moved to Key West in 1991 to be close to her parents and to pursue a career change. As a distance runner and athlete, she experienced her share of overuse injuries, leading her to her current career in the healing profession and medical field. Lilla attended graduate school for physical therapy at Emory University in Atlanta and in 1997 earned her master’s degree in physical therapy. 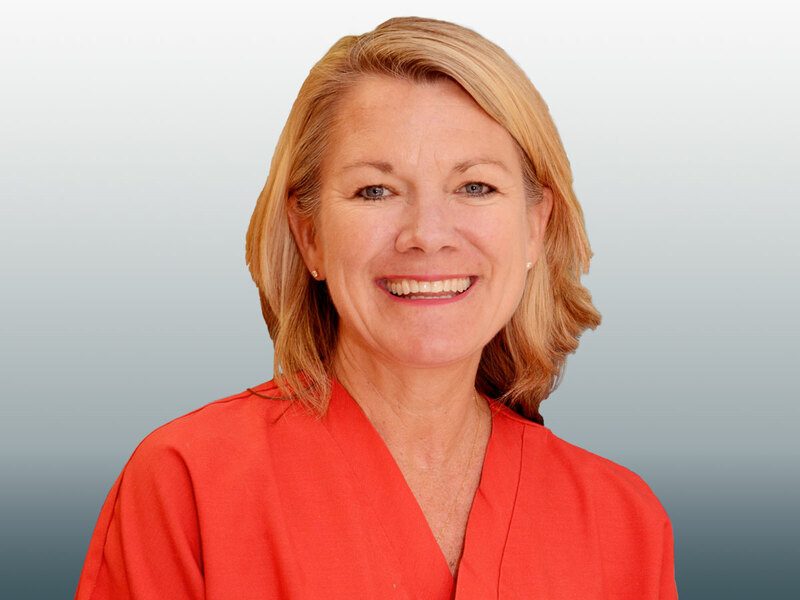 She practiced as a staff physical therapist in our local hospital, both in the inpatient and outpatient departments, before joining Key West Orthopedics in 2002. She is currently the director of our Rehabilitation Department, and keeping a busy schedule seeing patients and managing the department throughout the day. Lilla enjoys running and is the president of the Southernmost Runner’s Club. She is actively involved with St. Paul’s Episcopal Church and has been a lay reader for many years. She serves on the vestry and is currently the senior warden. She enjoys sailing and bird watching with her husband, Dr. Mark Whiteside. But her favorite activity is enjoying her children, Eric and Mason.